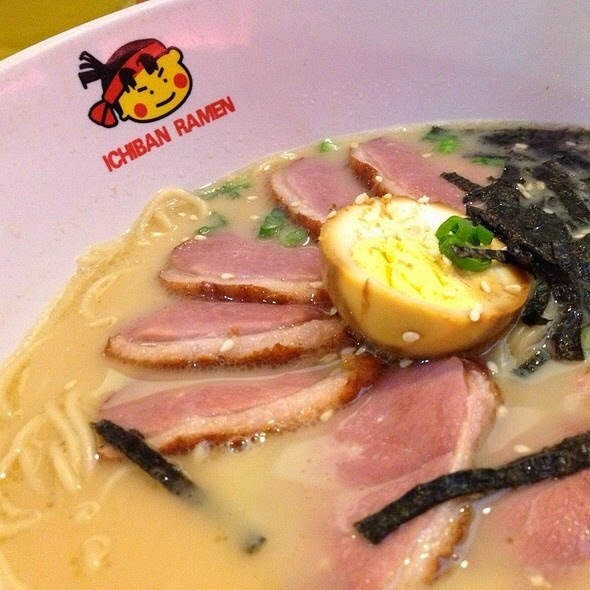 I've developed a taste for ramen and I'm still looking for the best ramen in town. Any recommendations? I like the ones in Kissaten IOI Boulevard Puchong but they are quite pricey at RM25 a bowl. I was in Sunway Pyramid today. I go to that place so often I take the usual route walking around the mall. I took a slightly different route today and found Ichiban Ramen in good time for lunch. I ordered the Smoked Duck Ramen and even though it does not come with the usual ingredients, it is good. If you want to develop a liking for ramen, I suggest you watch the movie The Ramen Girl. It's not really that good a movie but the part when they cried eating ramen is priceless.